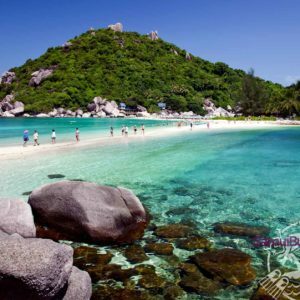 SamuiBus.com | Book AP transfer to Chaweng Noi in just a few minutes! On Chaweng Noi beach there are no crowds, in the season it happens on more famous and largest Chaweng beach. Chaweng-Noi Beach sports coconut groves and small, enticing beachside restaurants. The refreshingly quieter atmosphere promises plenty of relaxation, though you are mere minutes away from a thrilling nightlife scene. Get from the Koh Samui Airport to the hotel in Chaweng Noi Beach and back will be so easy if you will think about it in advance. Just book Transfer service!